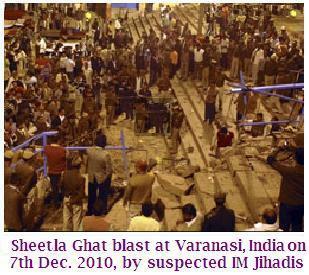 Muslims by saying that Hindutva is more dangerous than Islamic terrorism. From the Core of Fierce…..
but it dried before it reached the ground. The heat of my heart burning. By anyone on this this side or that side. in this life or next. And till they disappear from this world. Please tell the Almighty: My brothers are still there. In another BRAVE attack by the Holy Warriors of “The Religion of Peace” at the holiest city of Hindus, a two-year old Hindu girl lost her life while 45 people including four foreign nationals have been injured. Gujarat has topped one more list – Gujarat has the highest number of villages having access to electricity. All the credit goes to the able leadership of Chief Minister Narendra Modi. Gujarat exceeded the number of villages set as target for electrification – 500 by far. In total 1 236 villages now have electricity.